Chelsea manager Maurizio Sarri has disclosed the club are ready with a new contract for Eden Hazard, but it remains up to the Belgian forward Hazard if he wants to commit his future with the Blues. 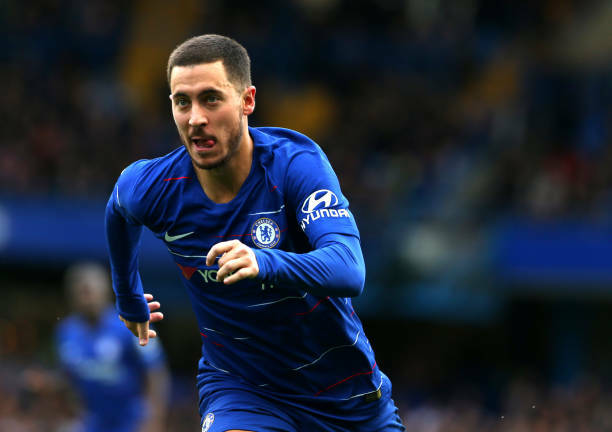 Hazard, 27, has been a key player for Chelsea since arriving from French side Lille in 2012, and n recent years has emerged as one of the finest players in the Premier League. Hazard's current contract expires in 2020, which presents a problem for Chelsea if he does not agree to the new deal soon, the club will need to decide whether to sell their best player next summer while they can still command a substantial fee or risk losing him for nothing the following year. Hazard made his thoughts perfectly clear after helping Belgium to third place at the World Cup in Russia that he was torn between Chelsea and pursuing a dream move to Real Madrid. However, Sarri said Chelsea's offer - reported to be worth £350,000 a week was on the table and now the ball lay in Hazard's court. "The club is available to sign a new contract immediately, but it's up to him if he wants to renew or not. Spain international Cesar Azpilicueta, one of the longest-serving players at Chelsea, signed a new four-year contract on Tuesday, which if he completes will take him to 10-years at the club. French World Cup-winning midfielder N'Golo Kante also recently committed his future to Chelsea, signing a five-year contract.